As Marketing Specialist, Cory Bullis joined CleanWorld in 2013, when he began as an intern, graduating with a BA from the University California at Davis. He has been an invaluable part of our marketing and public affairs departments and increasingly helps us stay connected to important legislative and regulatory issues impacting our company. Cory firmly believes we all have a duty to our communities and to the environment to develop sustainable energy sources that increase our energy security. One of Cory’s recent efforts is collaborating with industry stakeholders to establish state policies that recognize the bioenergy industry as a valuable resource to be leveraged. 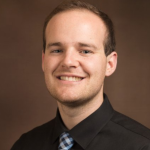 Cory is currently pursuing his Master’s in Public Policy and Administration at Sacramento State University. I feel that contributing to the successful investment in our renewable energy infrastructure, particularly bioenergy, I can have an impact in helping to increase our energy security. Cory is in the bright blue shirt! Interested in creating value from your Organic Waste Stream? Organic Waste to RNG Could Replace 3/4 of Diesel in California.